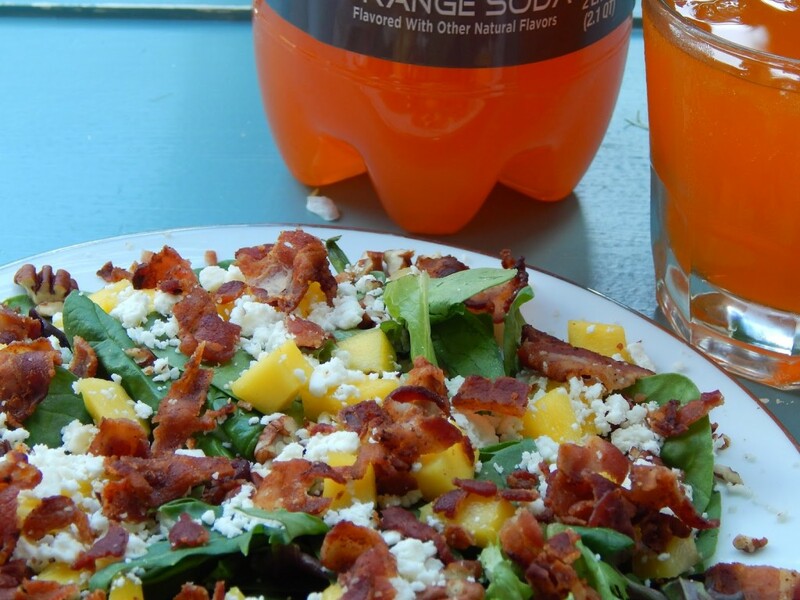 In fact, I made this Bacon Mango Salad the other day and it’s always one of my favorites. How could you go wrong with bacon? 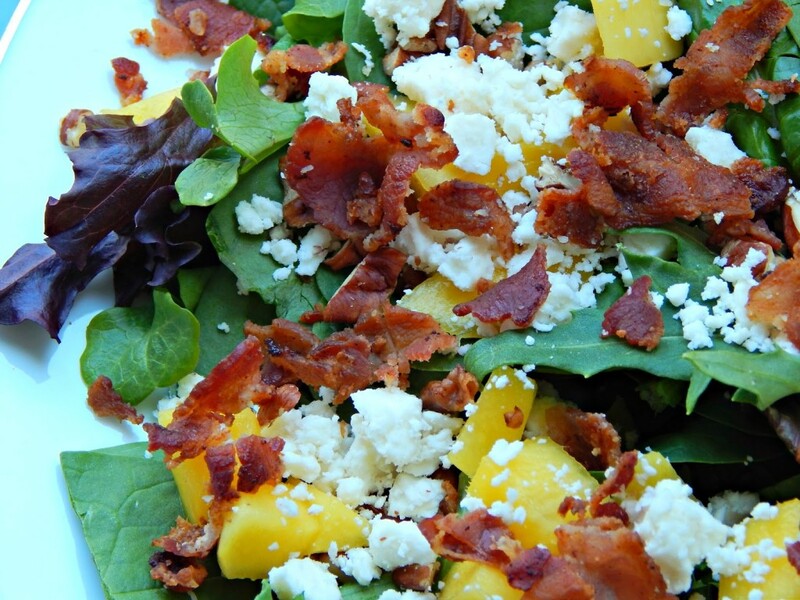 There is also mixed greens, mango, pecans, and feta cheese. I top it off with a poppy seed dressing and it’s always wonderful! A lot of the time I’ll drink iced tea with my lunch, but every once in a while I’ll get a craving for a glass of soda. I rarely drink pop anymore, but when I do it’s almost always one of the TEN Calorie sodas that can be found at Safeway. They’re guilt free and taste really good! In fact, right now through the 19th at Safeway you can get a TEN Calorie product free on the Just For U website, while supplies last. 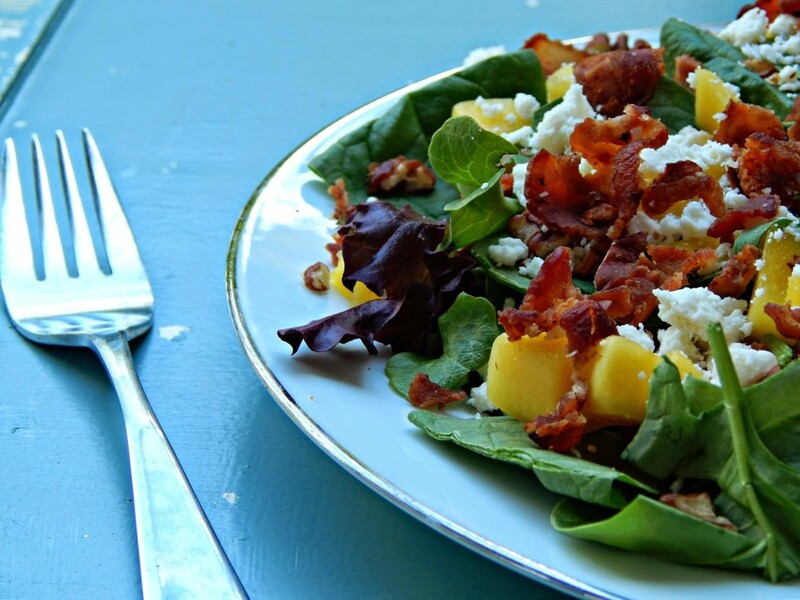 What are some of your favorite salads to make? Dang that looks good! I hope you share more salad ideas! 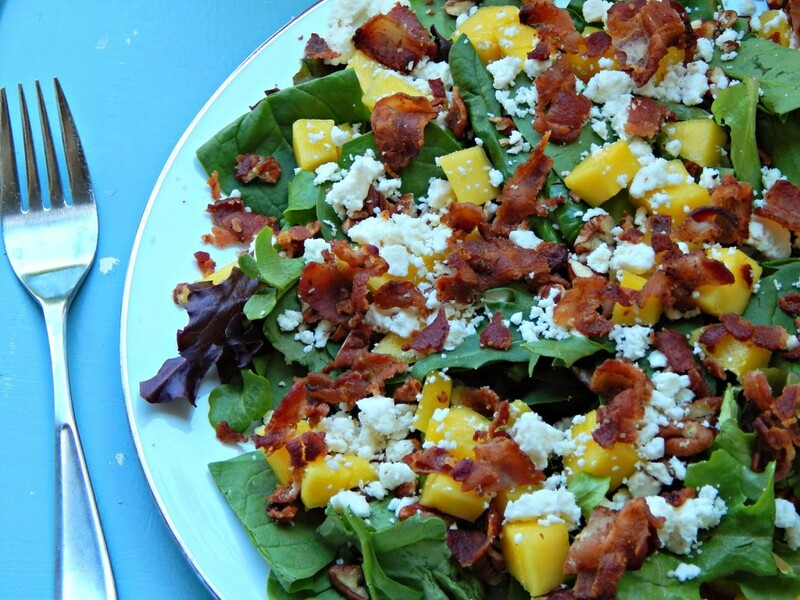 Mango in salad sounds like it would be delicious! I've never tried it like that. To get the idea, perhaps I could try it with turkey bacon since we don't eat pork. But it does look really refreshing and healthy 🙂 Thanks for sharing this with us at Countdown in Style! Ummm…Yes please! I love the sweet and salty combo. I can't wait to try this! Ok I want to eat this like right now! yum! I am going to feature this on the Blissful and Domestic Facebook Page this week:) Thanks for linking up! 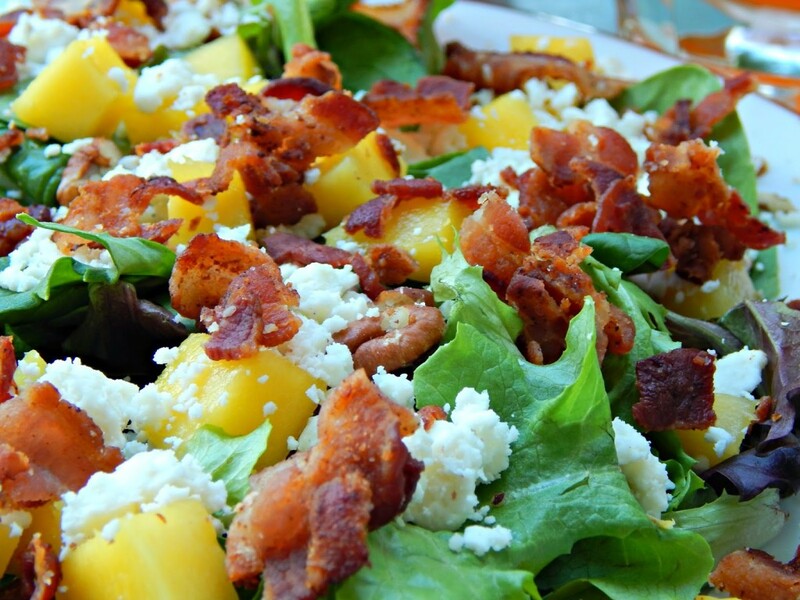 I have to approve with two thumbs up the ratio of cheese and bacon and mango in this salad. 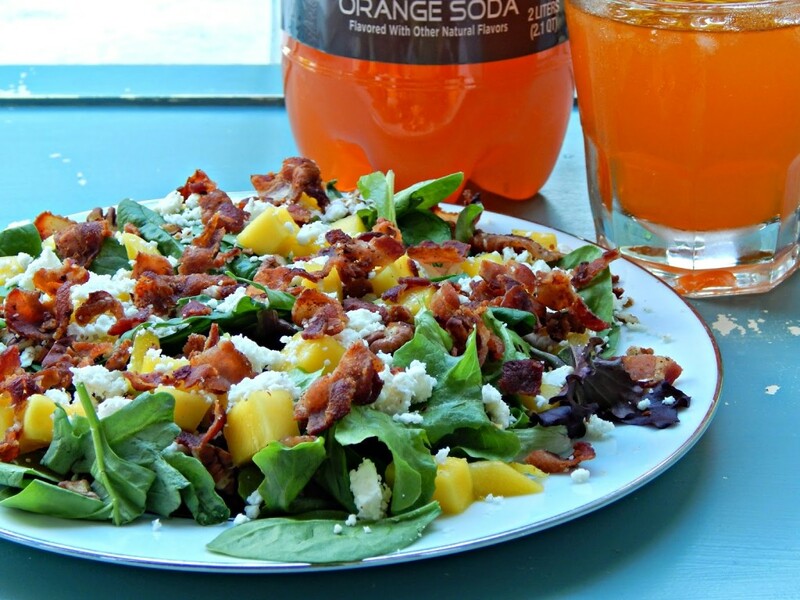 Wow… the salad looks AMAZING. My husband would love it! And, I'll have to check out the sodas. Lately I've been craving soda like crazy and I try to avoid the high-calorie and the diet. I'll have to check out the types of sugar used. Thanks for sharing! I had to check this out.. how can you go wrong with bacon. My husband just bought some mangoes too, so I think this will be our dinner tomorrow. We don't have popp seed dressing, but that's easy enough to get. 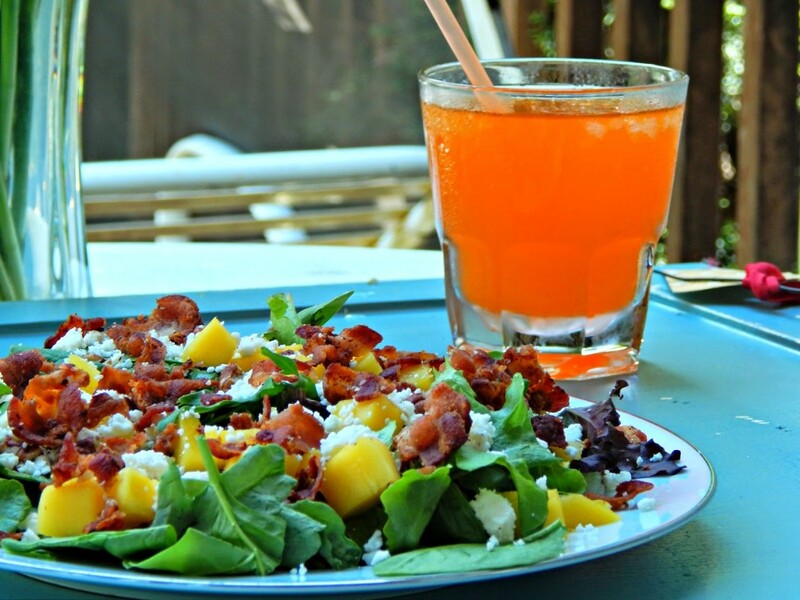 This looks delicious and deliciously simple. Thanks for sharing with Countdown in Style. 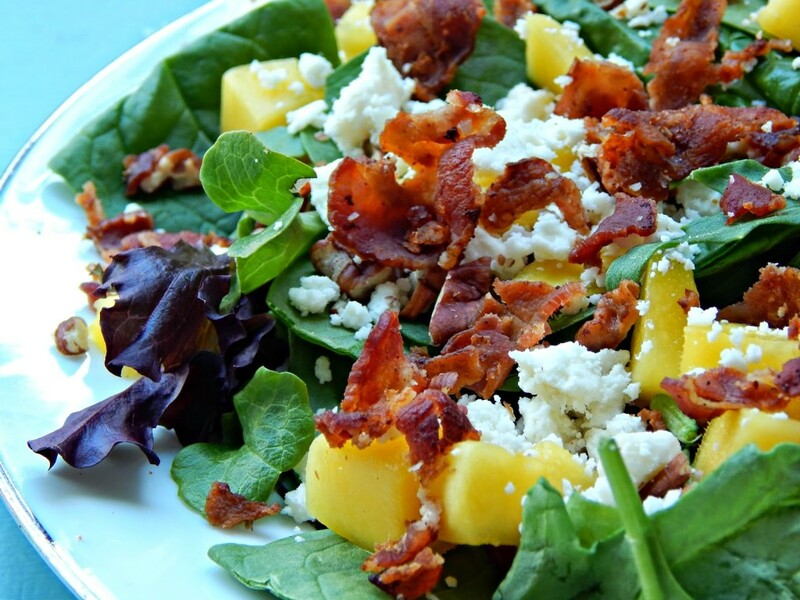 I will be trying this recipe for sure, I love mango and I love bacon so this is a match made in heaven for me! Thanks for sharing at the Say G'day Saturday linky party. I've shared this on G+, FB and Pinterest. This is SO my kind of salad! Congratulations – you are one of our featured guests at this week's Inspire Me Monday party at Create With Joy! visiting from Inspire Me Monday. This salad looks fantastic. 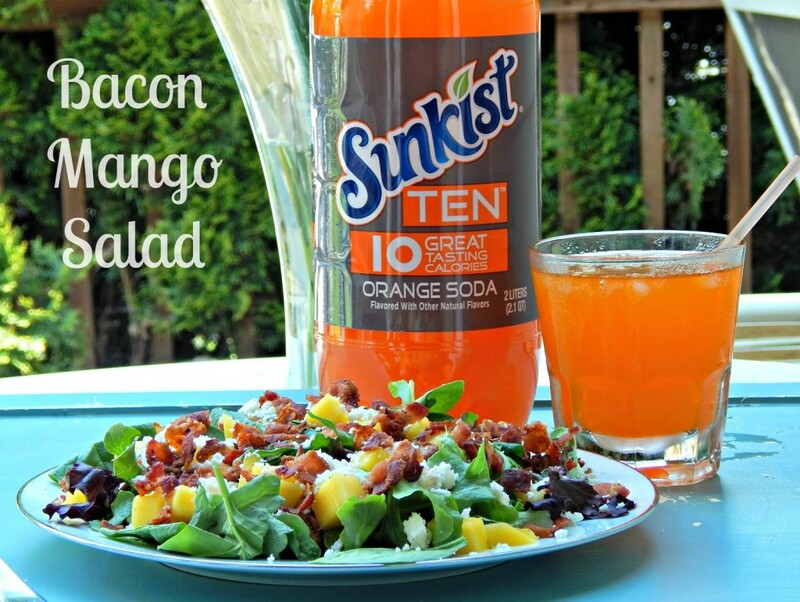 I hope you will join my Small Victories Sunday linky tooand add this yummy recipe! So, so glad you shared this with my Small Victories Sunday linky. Hope you join us again this weekend. New linky starts tonight! This looks SO amazing. Sadly, I live in Italy where there is NO bacon (we can get a billion different cuts but no bacon). Going to try this the next time in the states..
Wow wow wow I want to eat this! This looks FANTASTIC. I can't wait to try it!! Thanks for linking up with the #smallvictoriessundaylinky! You have been pinned to the group board! This salad looks delicious. Thanks so much for sharing with Wednesday's Adorned From Above Link Party. We are featuring this post in this weeks party.